United Success Network provides no information on their website regarding who owns or runs the company. The United Success Network website domain (“unitedsuccessnetwork.com”) was privately registered back in January 2016. Despite only existing for two years at most, the United Success Network logo falsely implies the company was established in 2008. Further research reveals marketing videos on the United Success Network website hosted on a YouTube channel bearing the name “itsme1984rich”. 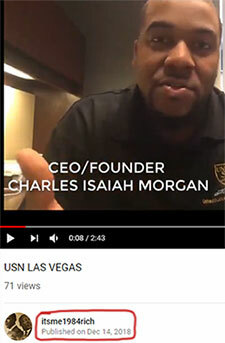 I wasn’t able to put together an MLM history of Morgan, suggesting United Success Network is his first executive role in an MLM company. Read on for a full review of the United Success Network MLM opportunity. United Success Network has no retailable products or services, with affiliates only able to market United Success Network affiliate membership itself. United Success Network affiliates purchase $50 positions in a five-tier 2×3 matrix cycler. These two positions form the first level of the matrix. The second level of the matrix is generated by splitting each of these first two positions into another two positions each (4 positions). Level three of the matrix is generated in the same manner and houses 8 positions, for a total of fourteen matrix positions. Positions in the matrix are filled via subsequent position purchases by directly and indirectly recruited United Success Network affiliates. Once all fourteen positions in a matrix are filled, a “cycle” commission is generated and the position “cycles” into the next matrix tier. 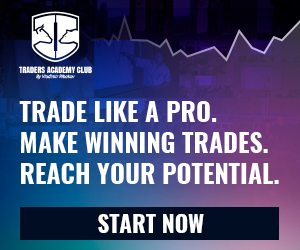 Note that in order to qualify for commissions, each United Success Network affiliate must personally recruit two affiliate’s who’ve each invested $50. United Success Network affiliate membership is tied to at least one $50 cycler position purchase. United Success Network operates under the guise of participants giving and donations and crowdfunding. In a legitimate donation-based crowdfunding platform, deposits are not a prerequisite to receive deposits from other members. This key difference separates United Success Network from legitimate crowdfunding platforms. In reality, United Success Network operates as a $50 in, $15,200 out Ponzi scheme. United Success Network affiliates invest $50 on the expectation of an eventual $15,200 ROI. Owing the nature of the matrix cycler model used, ROI payments are funded by subsequent $50 investments. This makes United Success Network a Ponzi scheme. Matrix cyclers primarily benefit those running them, which in this is Charles Morgan. Through one or more preloaded admin positions, Morgan will receive the majority of funds deposited into United Success Network. Morgan’s admin positions cycle first and continue to cycle across all five tiers. Note that once a position has cycled, cycling again on the same tier withdraws funds out of the system without adding new funds (there is no position purchase). What happens over time is more and more of these phantom positions are created on each cycler tier. This bogs the system down and eventually causes each cycler tier to collapse. In addition to funds stolen through admin positions, Morgan also keeps funds attached to stalled cycler positions. When United Success Network inevitably collapses, everybody else loses out.